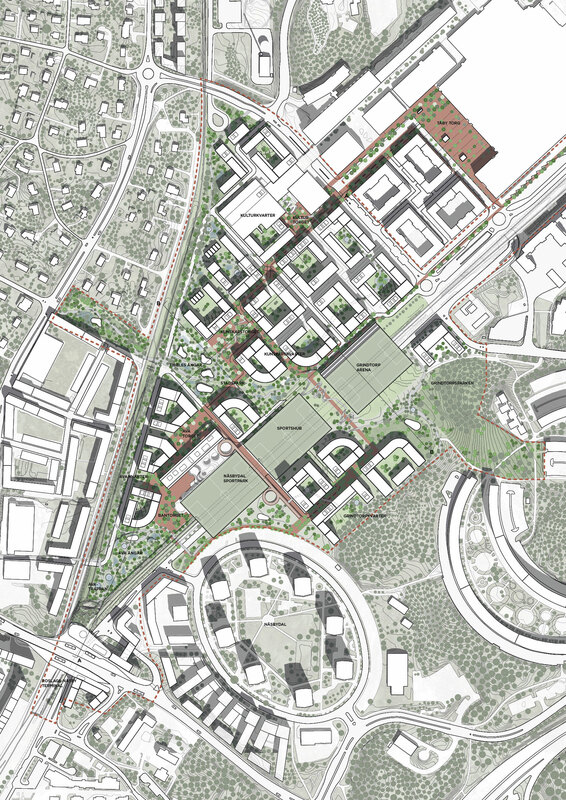 Among 50 international teams applying, Team Briq-SchaumanNordgren-Levinsen were pre-qualified among 4 teams to develop a vision and masterplan for the Tibble-Åva area (Tibble-Åvatriangln) in Täby: one of the fastest growing areas of the Stockholm Metropolitan Area. The Tibble-Åva triangle is a strong infrastructural node of the region – and situated at the threshold between the urban metropolis and the natural reservoirs. Our proposal, ‘A metropolis fused with nature’ proposes a new lively city centre focusing on next-gen education, cultural and natural ecosystems, rich urban life and advanced sports facilities. In combination, this fosters an intuitive and innovative urban environment that promotes curiosity, discovery and pioneering entrepreneurship. 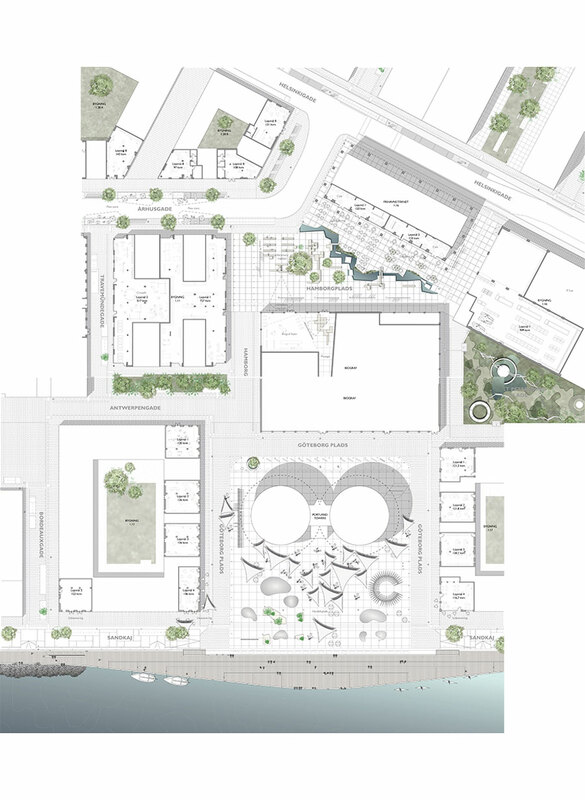 In addition, the proposal emphasizes social relations, the human scale and everyday life through deploying a vibrant urban life with knowledge, craftsmanship and culture at its core. All this takes departure in the local history of the area: a city that is modern, sustainable and deeply rooted in and driven by nature. 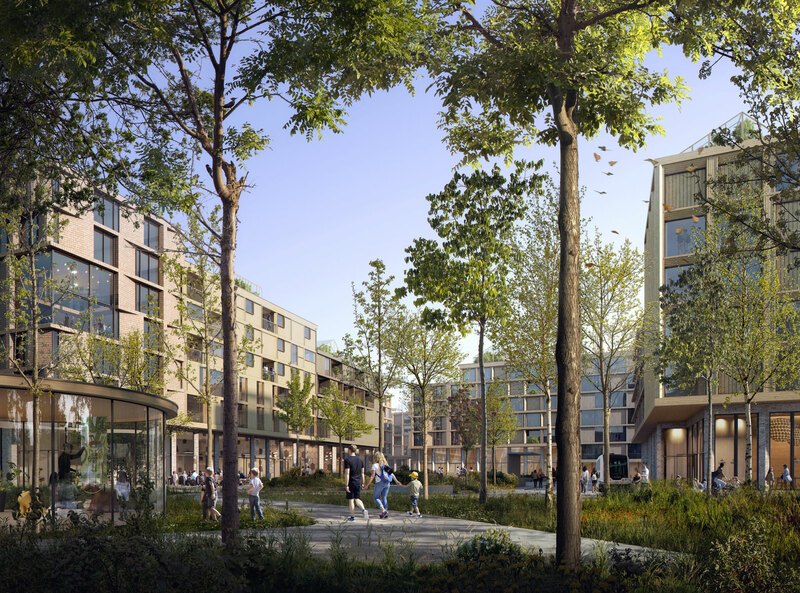 Tibble’s central identity is a further development of the original meaning “the urban village”, but in an ambitious and sustainable version of the highest international standard. 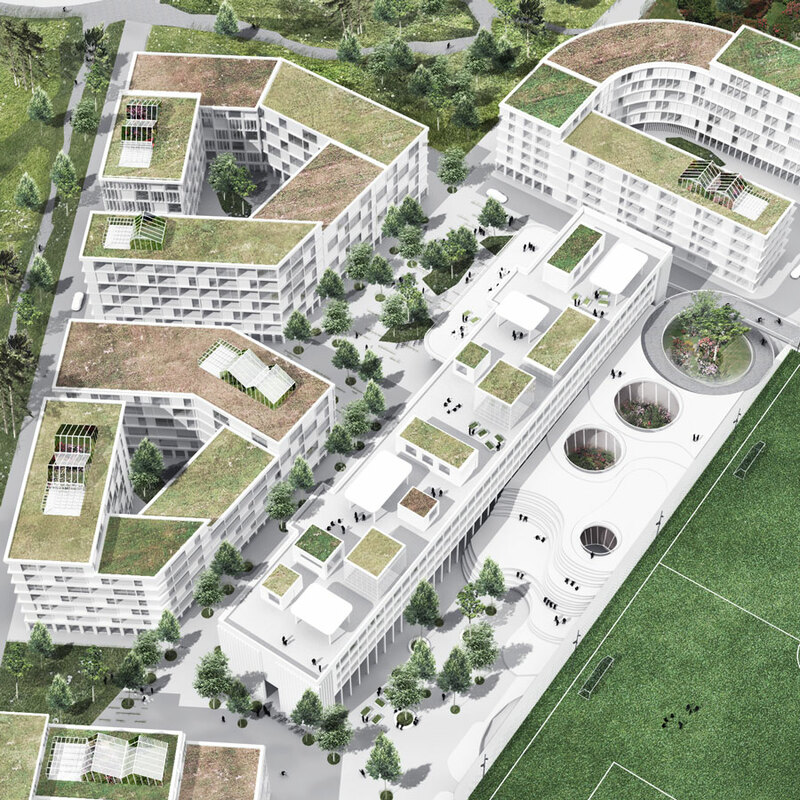 The proposal strengthens Täby’s position as an innovative municipality, with a humanistic strategy for the future urban development, social cohesion and environmental sustainability. 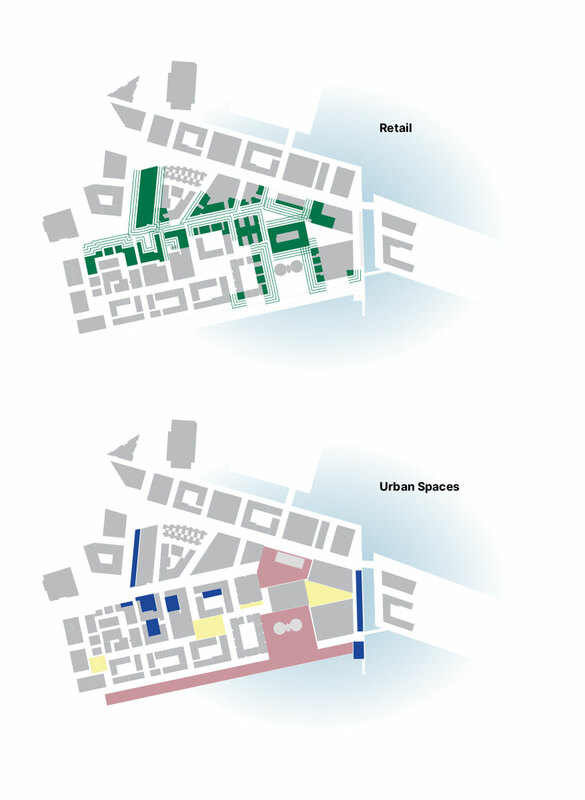 The masterplan is structured around the 5 cornerstones: knowledge intensity, a vibrant urban life (incl. work and retail), sustainability (social and green), natural ecosystems and smart mobility. These cornerstones merge into a range of ecosystems, which together create a rich and vibrant city. First of all, the area is developed with human-beings at its centre stage: It is a place where everyday life is both fun, interesting and stimulating. And it is easy to have an active lifestyle, live healthy, socialize and make sustainable everyday decisions. Sports, physical activity and health are important components of the cityscape. The Tibble-Åva Triangle is today cut off on several sides of the infrastructure. Toward the north there is a connection to the existing Täby centre and with the church as a current and future landmark. 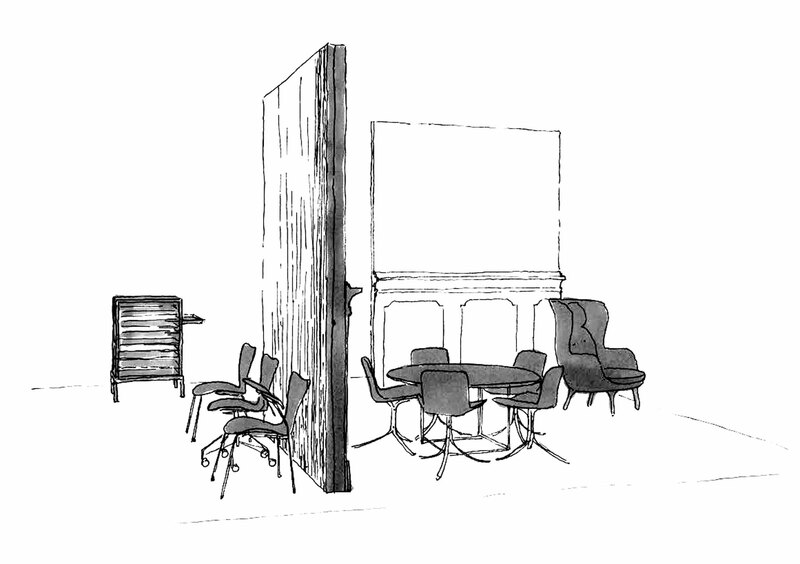 The proposal converts the existing barriers into new specific places with unique identities, tying the area seamlessly together with the surrounding context. The transit zones will have great significance for the new district. They are places for exchange and variation as opposed to physical barriers and sharp boundaries. 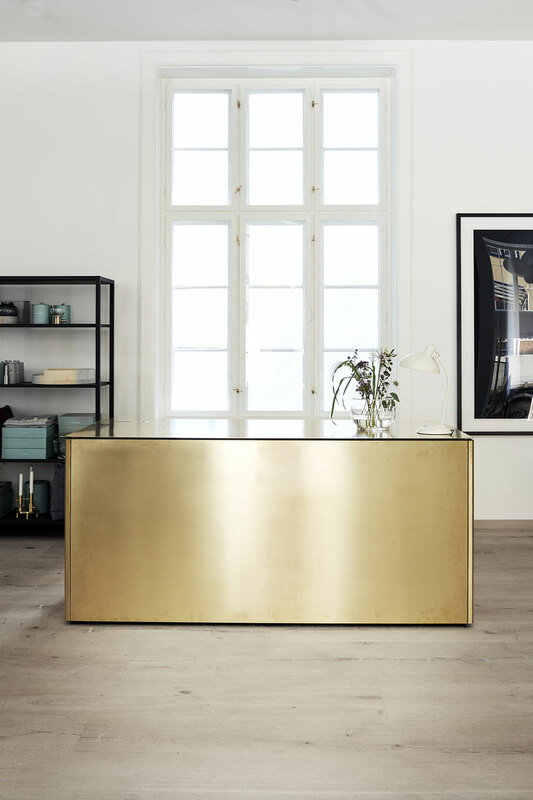 In Täby, we create meeting places instead of delimitations and restrictions! 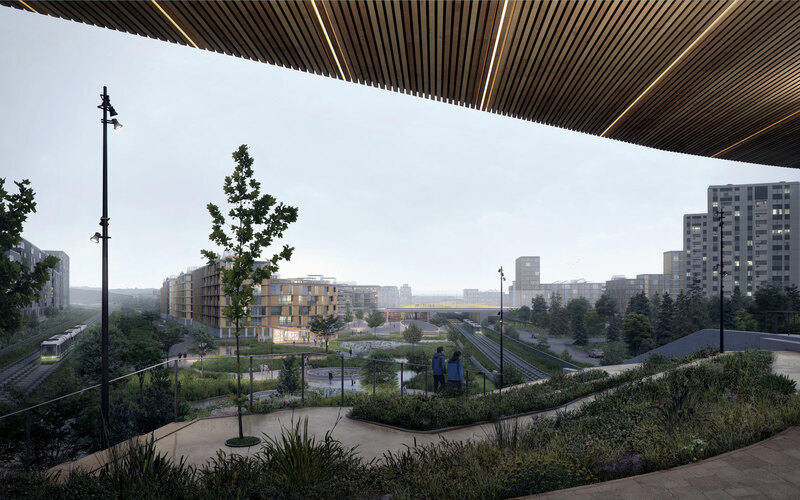 Rather than creating iconic architecture, as asked for in the brief, we devised an alternative vision: the urban spaces, shared by all the residents, should be signatures giving the area a strong identity and cohesion. 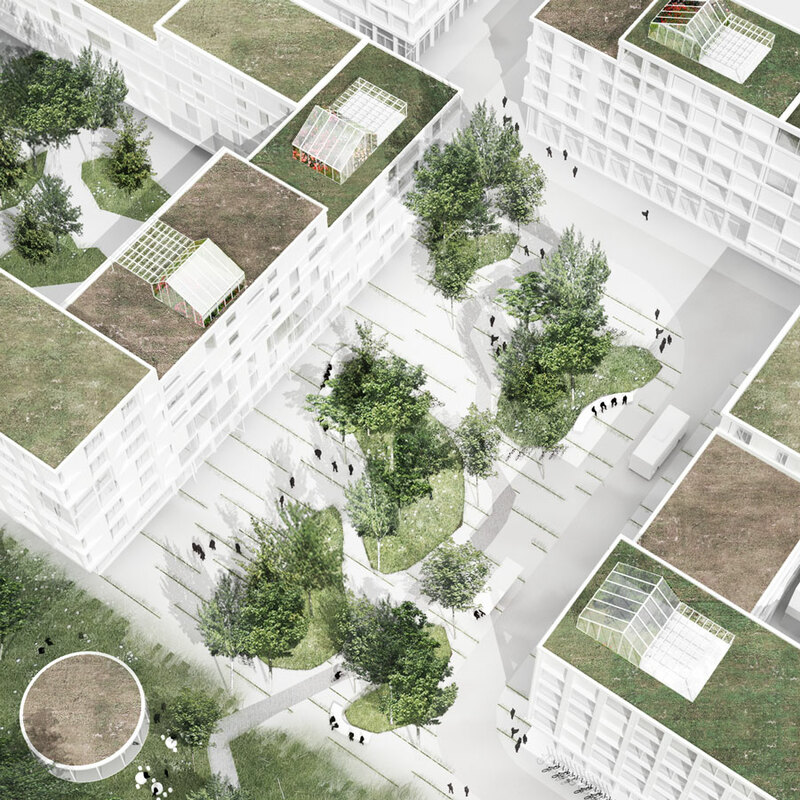 These include, among other, the southern cloudburst park (‘Åva engar’ and ‘Åvatrappan’), the combined soccer fields, sports hub and park bridging the railroad toward Grindtorpsparken, and the central knowledge plaza (‘Kunskapstorget’). 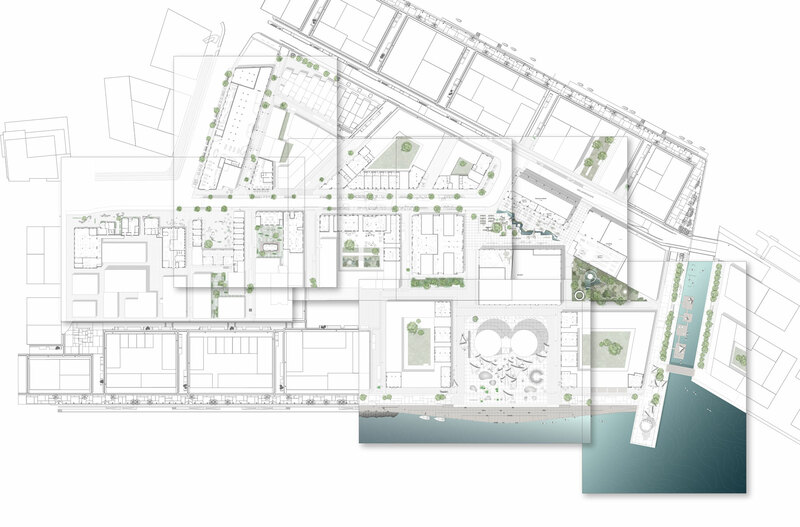 A dense and mixed city is sustainable, both in an environmental and social perspective. Here you can bike or walk to shops and other activities. With public transport, you will quickly reach Stockholm’s inner city or Arlanda. 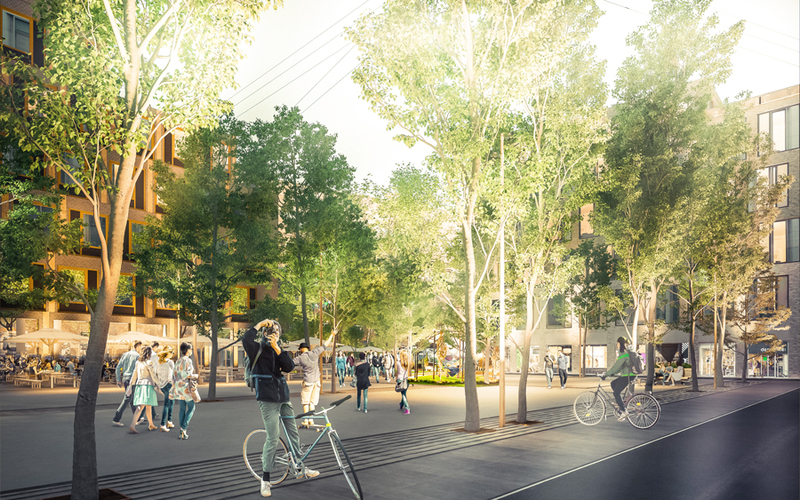 No car is needed – instead, the focus is on the human scale, people and social interaction. Another key concept of the proposal is, that all buildings are built in cutting-edge wood construction. In order to create a sustainable city, it is necessary to challenge or construction methods. For each building built using laminated solid wood as the fundamental structure, the climate footprint is more than halved, potentially even brought down to 30% of the CO2 emission compared to concrete constructions. Wooden houses are the future – but also a part of Täby’s and Sweden’s building own heritage. 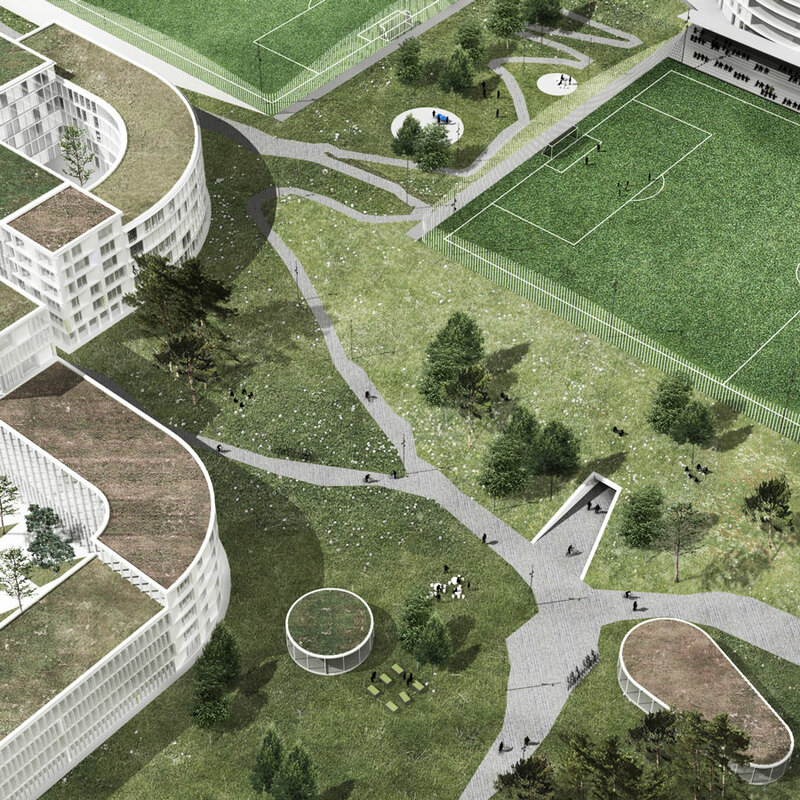 The program includes more than 300.000 square meters of residential, education and commercial premises. To a large extent, these functions are fused together in the proposal, fostering new approaches to the way we live, work and study. A rich business community is a prerequisite for a lively urban environment. 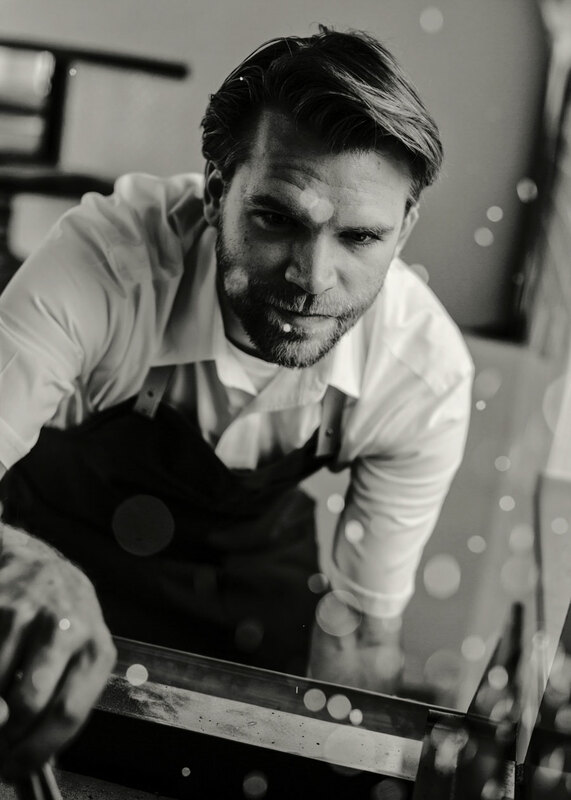 The community in Tibble-Åva is driven by innovative entrepreneurship. 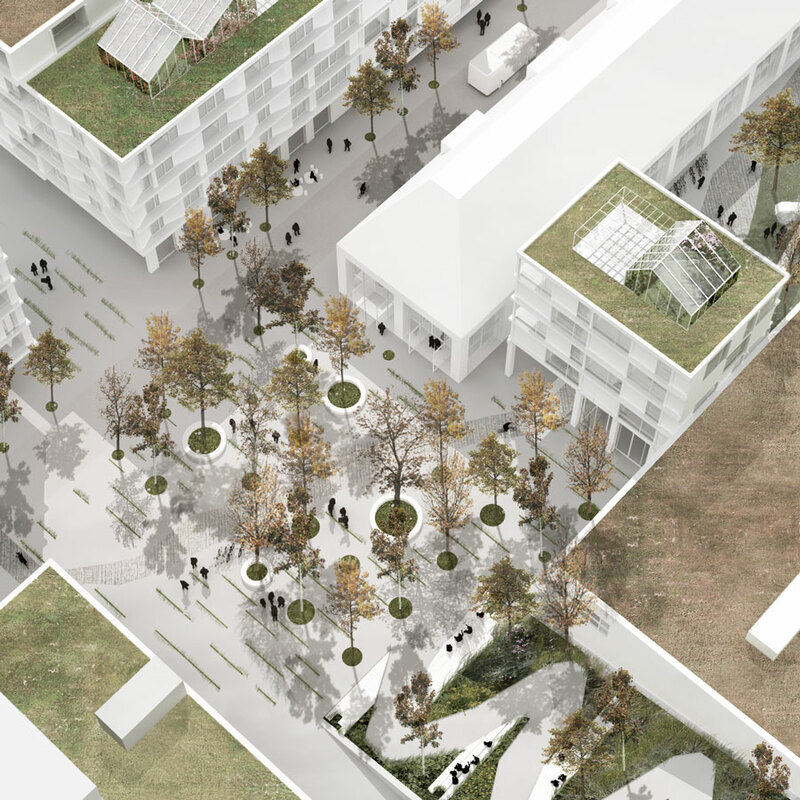 The proposed ‘bokaler’, where people both live and work in combination, create a unique environment and society, especially for young startups. 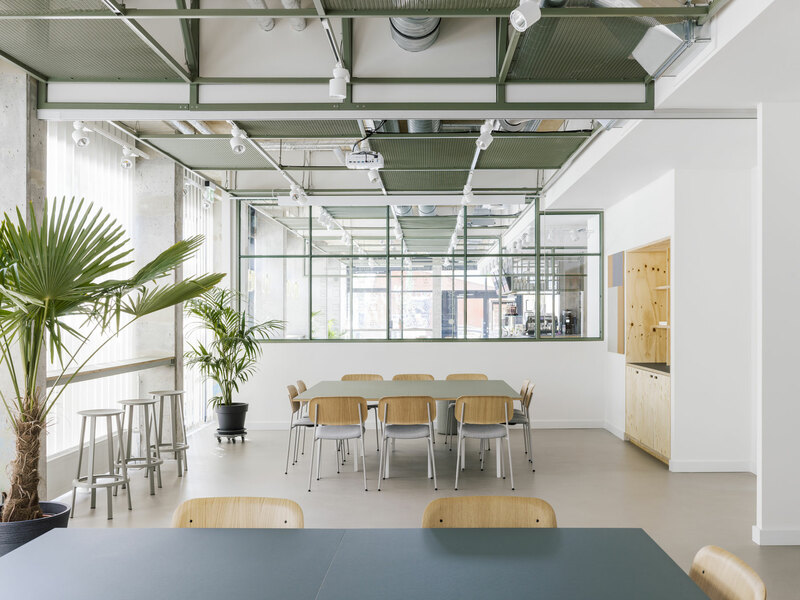 Both retail and businesses are run with a focus on local production and direct access with the help of communal functions such as the proposed ‘Täby Långhus’. 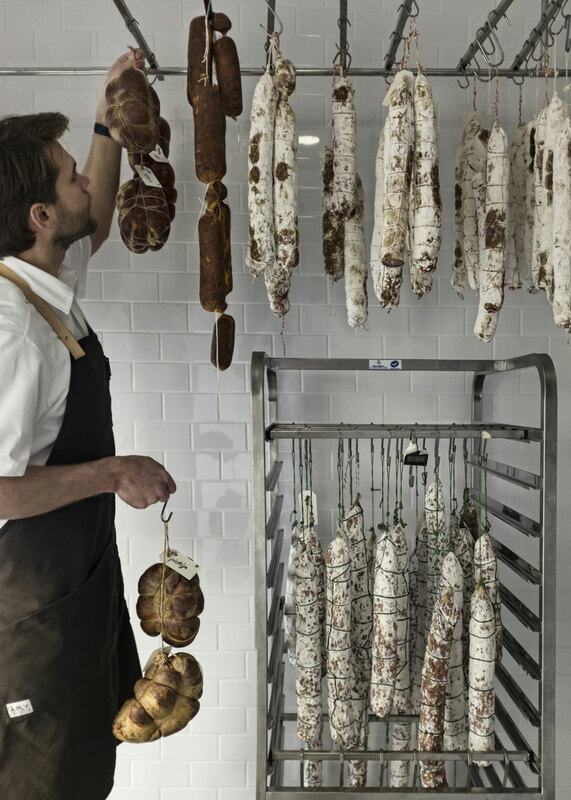 Local restaurateurs should be hand-picked from the region so that Tibble-Åva offers the best in this area, with local raw materials and regional food ideology at its core. 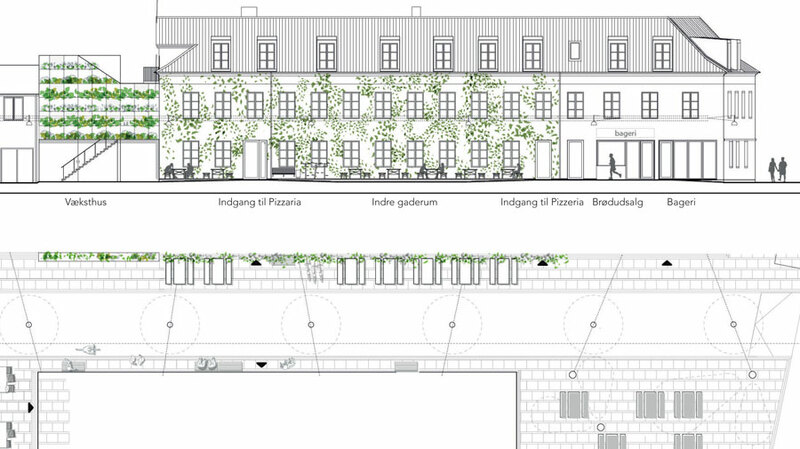 In the development of Carlsberg Byen visitors and residents will experience a new vibrant, modern and unique part of Copenhagen, rooted in a historical spirit unique architecture. We support this relationship through a mapping of the site’s DNA through cultural heritage studies, summarized visions, location analyzes and a description of how a pairing of these has formed the basis for the actual retail strategy, which will contribute to the creation of an identity for Carlsberg Byen. 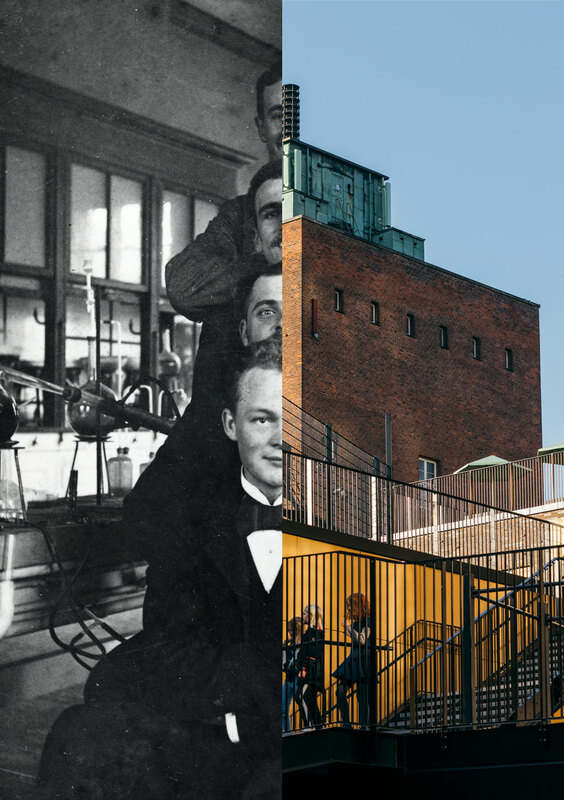 Carlsberg’s history is a love affair between science and culture. 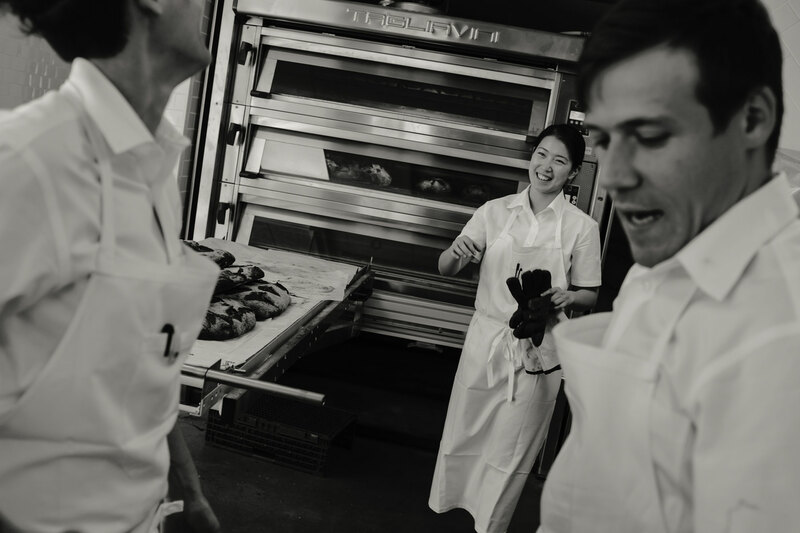 From the very beginning, quality products went hand in hand with a good head of creative energy and a generous contribution to life in the city. Great art and architecture were integrated into urban spaces and thus into everyday life. On town squares and in old as well as new buildings, forces are now joining to create a dynamic city district. 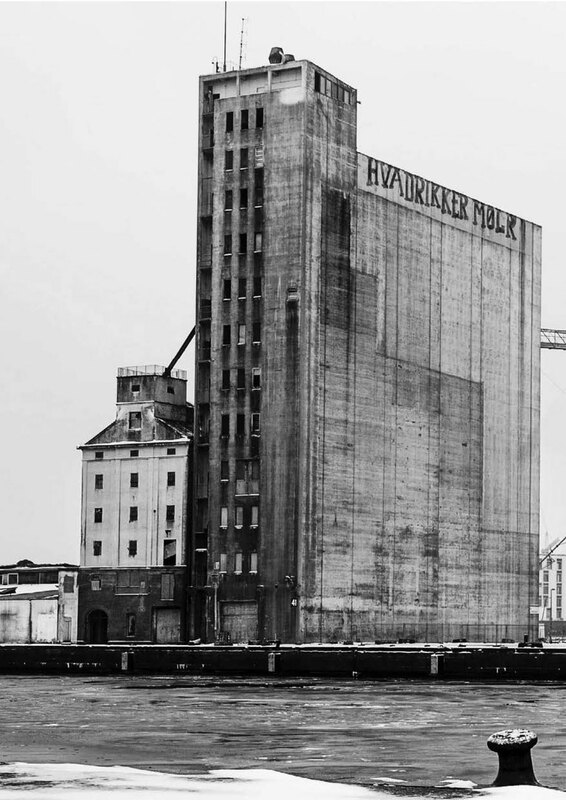 Global trade and art, popular tradition and research will be brought together on one of Copenhagen’s finest foundations. 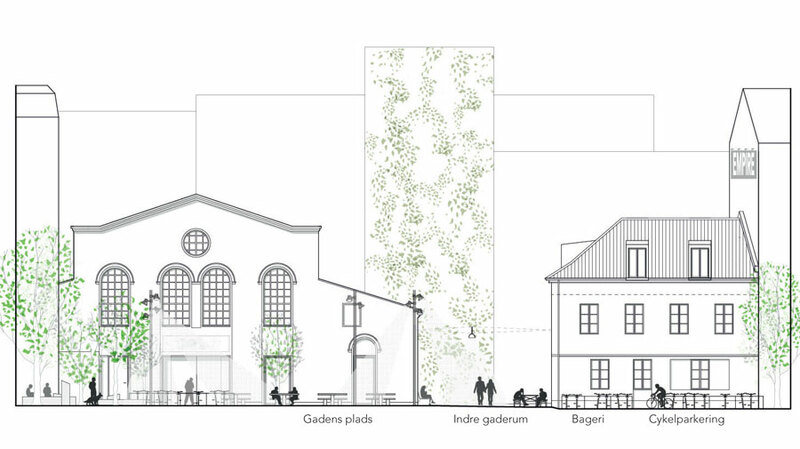 Carlsberg Byen will build on a unique cultural heritage, and this will live on in the city. The values of history will guide life in the new city, and every visitor will experience the link between the power of history and the dynamics of a living city. 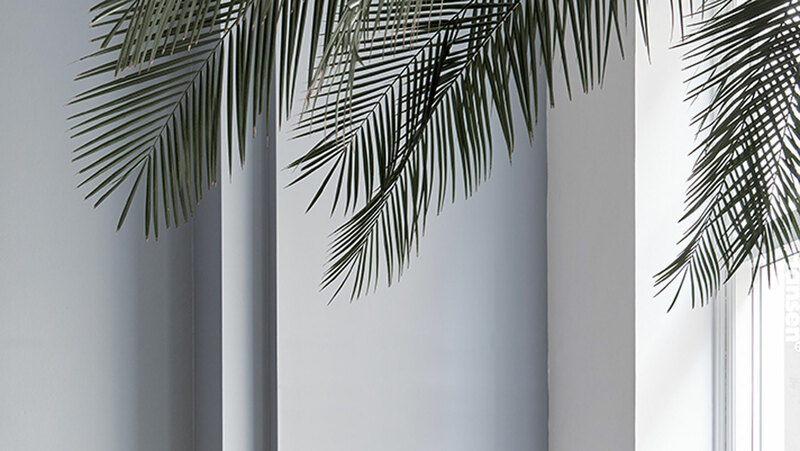 The characteristic architecture, the beautiful gardens and axial designs will create a feeling of grandeur, while cultural, commercial and recreative activities will complement the promises of history. Like the joy of art, science and research are a manifest heritage from the founders. 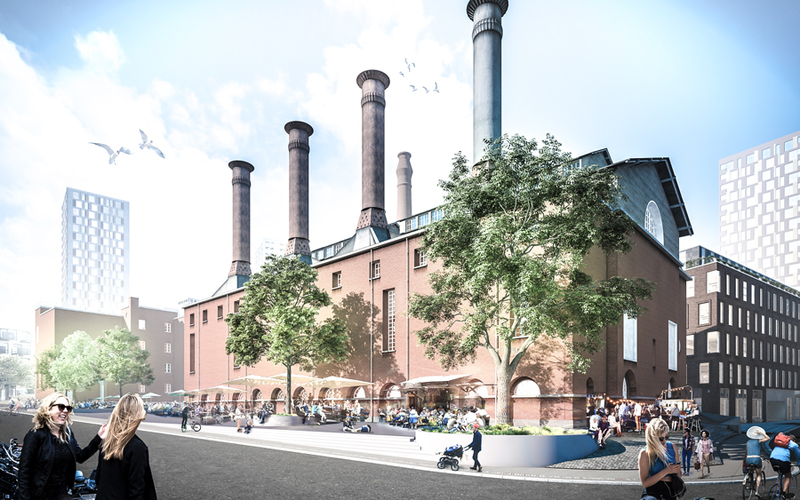 The researcher apartments, the educational institutions and the production units will ensure that Carlsberg Byen continues along the path set by its founders. It will be a denser, more massive district than Copenhagen has seen for a century. Historical buildings, modern blocks and no less than nine towers will rise to the skies. On the ground, a varied pattern of passages and squares will inspire people to explore and discover the myriad of spaces and atmospheres. Each of the 25 urban spaces will serve as a unique social scene, with its own special message and openness to change. Everywhere, focus will be on experience and functional frameworks for spontaneity, always bearing in mind the aesthetic. 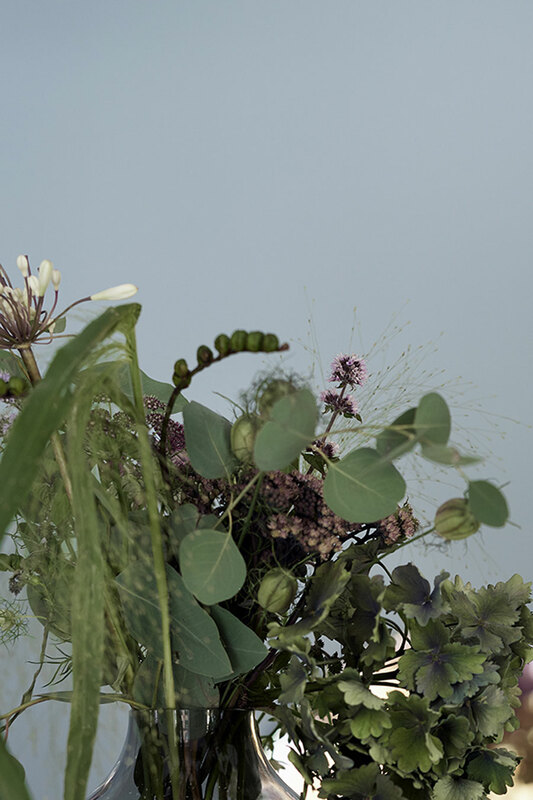 Four obvious themes derived from the cultural heritage of Carlsberg together form a strong idea and identity. Separately and together, they inspire the choice and development of retail concepts and strategy which identifies with the cultural heritage, share ambitions with the district, and plays an active role in the creation of the vision. Thousands of workers were employed at the Carlsberg breweries, producing beer of high and uniform quality. Brewing developed from a cottage industry to industrial, competitive mass production. The key to Carlsberg’s successful production always has been and remains; quality. 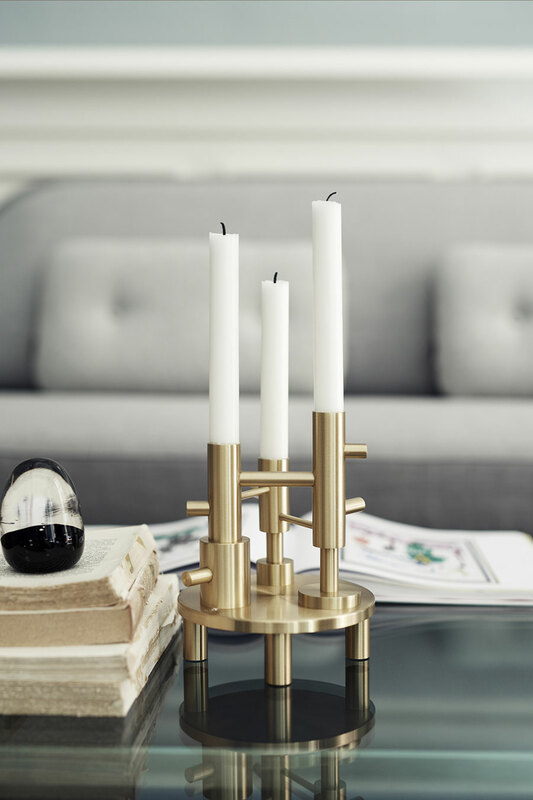 High quality craftsmanship and micro-production will be essential themes in life in Carlsberg Byen. The visionary spirit of J.C. Jacobsen, the founder of Carlsberg, revolutionized the brewing process throughout Europe, and he shared his knowledge and inventions with the rest of the world – at no cost. 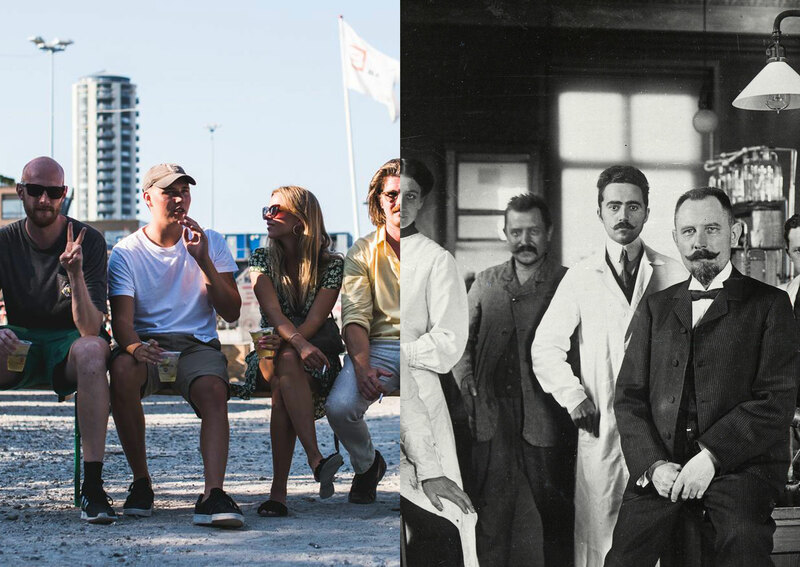 The Carlsberg Laboratory, the research Centre and the residencies for researchers made up the scientific environment and continuing in this spirit. Inventiveness is the key. New thoughts within trade, experience goods, urban development and local cultural life will have optimal growth conditions in Carlsberg Byen. “Wherever people live and work,” said Carl Jacobsen,” art should be displayed to inspire and incite a life of passion”. The new city district will constitute a wealth of different urban spaces. Passion for beauty is the key. Those involved must feel a desire for change, but behind this will be a foundation of ever-present shared values, including the beauty in a mixture of classical and modern expression. The Carlsberg site was always a mixture of factory buildings and homes, and the place abounded with a sense of community, entertainment and urban life. Cut off as it was from the rest of the city, in an island-like structure, Carlsberg was a place for hard work, and it became a unique miniature society in which people found their own ways to entertain themselves. Giving new life to this culture of community and entertainment in Carlsberg Byen is an obvious opportunity. Nothing is more attractive than belonging to a place that fills you with pride and a sense of social attachment. 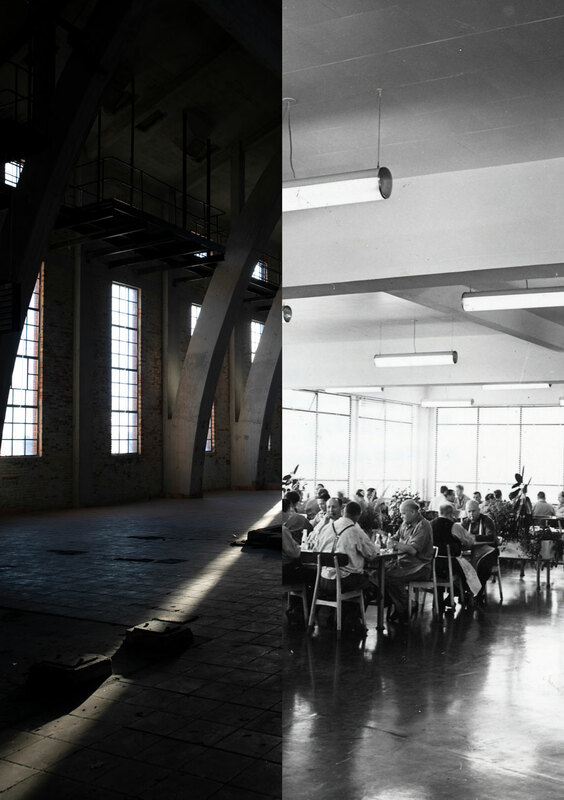 All players in the Carlsberg City Experience will be inspired by one or more of the four themes and their traditional and / or modern meanings. For many, it will be quite natural to work with all dimensions; quality, ingenuity, beauty and contributing to both the artistic touch, cultural outlook and the local communities. Through a site and cultural heritage analysis based on the visions of the Carlsberg City, it is concluded that the area consists of a number of different zones, each with their own identity and potential: both in terms of urban space identity and references to cultural heritage templates with related recommendations. 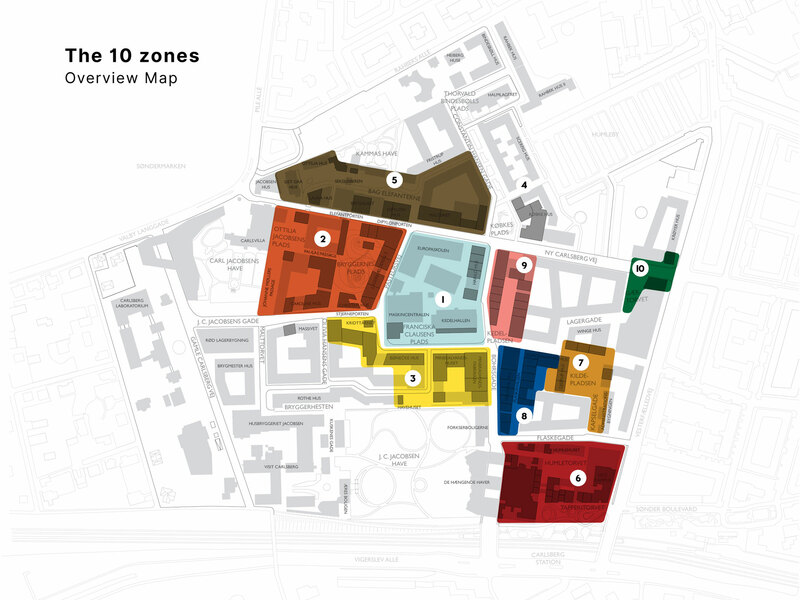 Ten zones representing different identities can be sketched out by linking the urban spaces with their associated tenancies. 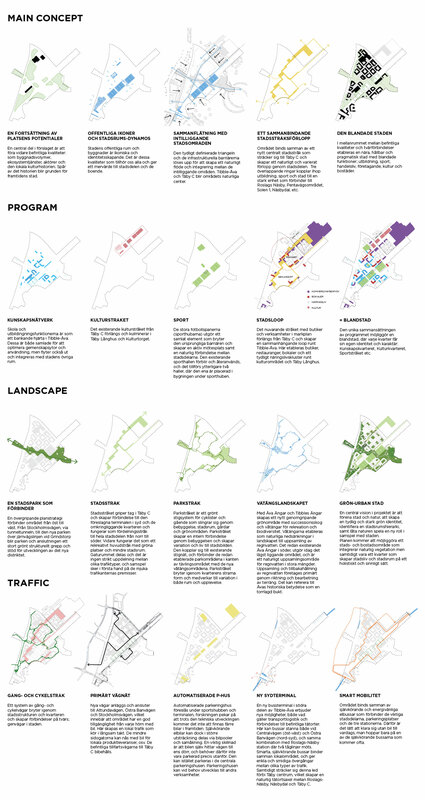 This idea draws on the masterplan concept by which each urban space has its own unique identity and character. 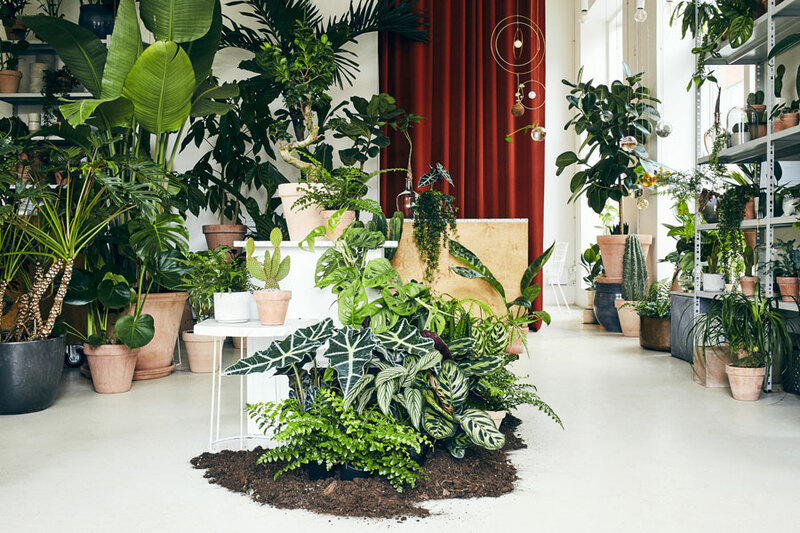 With this holistic approach, the public outdoor and indoor spaces will be brought together, and retail will become an active part of the urban landscape, thus fulfilling the desire for Carlsberg Byen to become a living city district with an intense urban life. 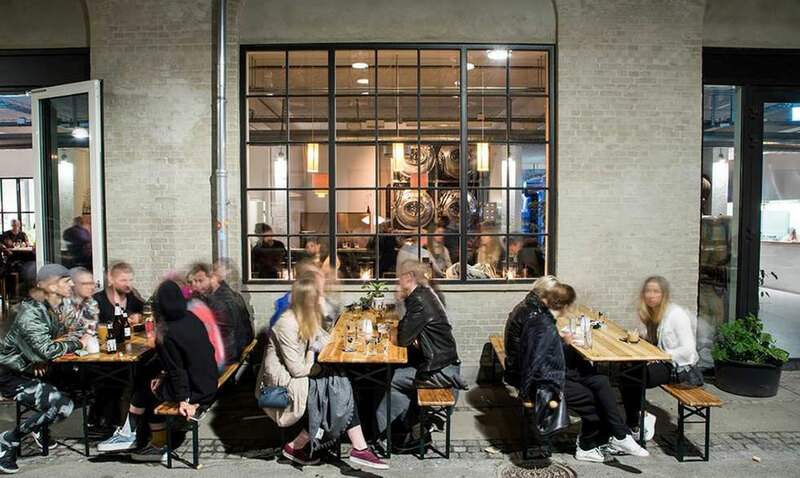 Of the neighborhoods in Copenhagen, Nørrebro is perhaps the least in need of being cooler. 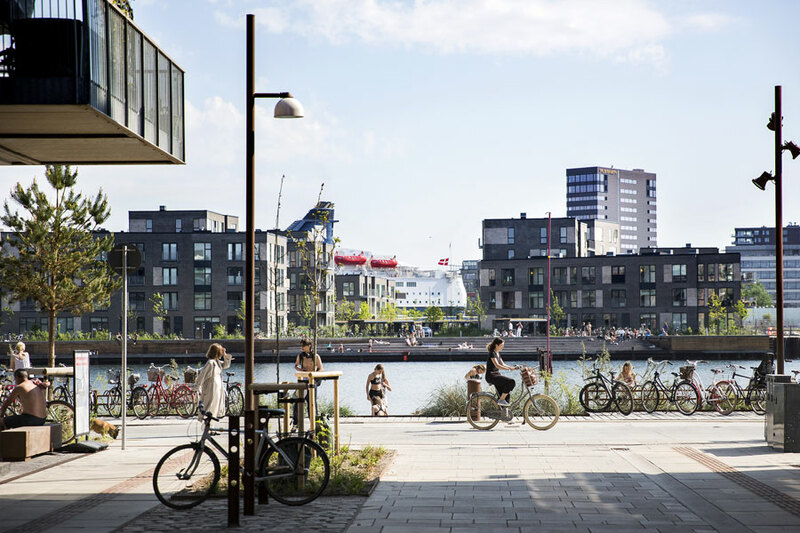 A mix of independent commercial spaces, residential living and parks, the borough on the north side of Dronning Louises Bro is an area with an evolving blend of students, young families and new immigrant communities. The potential was there to create an area that not only makes the neighborhood a better physical space, but also encourages a strong sense of community in the residents. 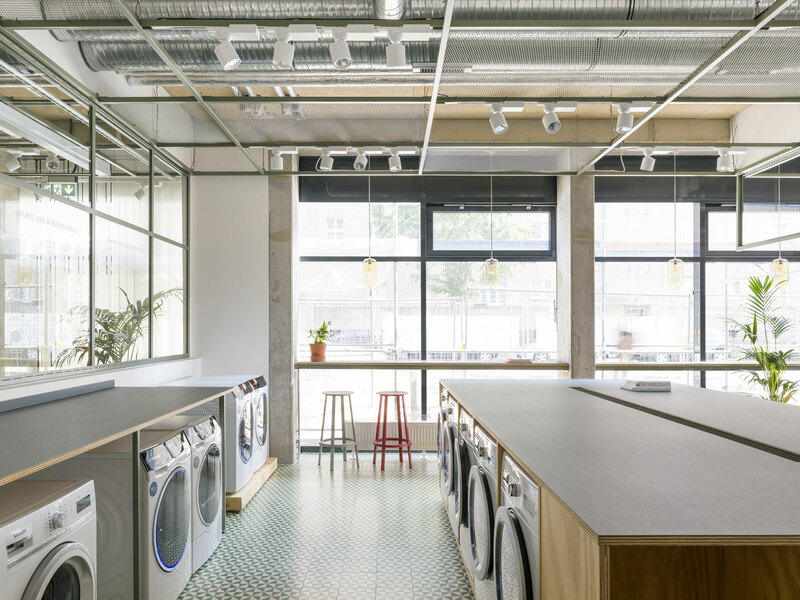 The right additions to an area create a ripple effect not only in the immediate economy, but also in the way the residents feel and interact with each other. Our development for Obel-LFI Properties includes enticing retail, high-quality dining and well-maintained community spaces. 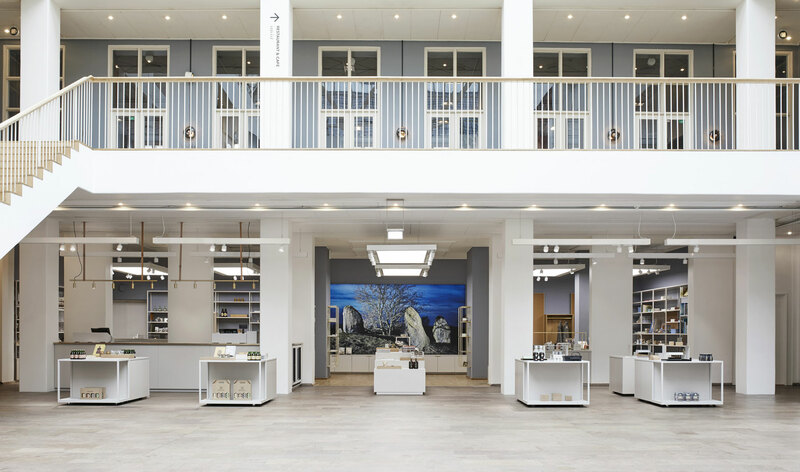 The transformation of Nordhavn from old industrial habour to vibrant urban district is in full motion, and Briq Group plays a key role in the development of commerce, culture and city life in Århusgadekvarteret in Nordhavn. Creating the sustainable city of the future – eco-friendly, vibrant, and dynamic – has been the overall vision for Nordhavn from the beginning. Renewable energy, recycling, social and cultural diversity, entrepreneurship and sustainable transport are key words. Combine these with ambitions of providing a wide variety of public institutions, shopping facilities, activities and experiences and you get an idea of the scope of the project. Sustainability: Sustainability in a wide sense of the word is the most important element in the transformation of Århusgadekvarteret. It cannot be achieved if the shops and eateries don’t follow up. 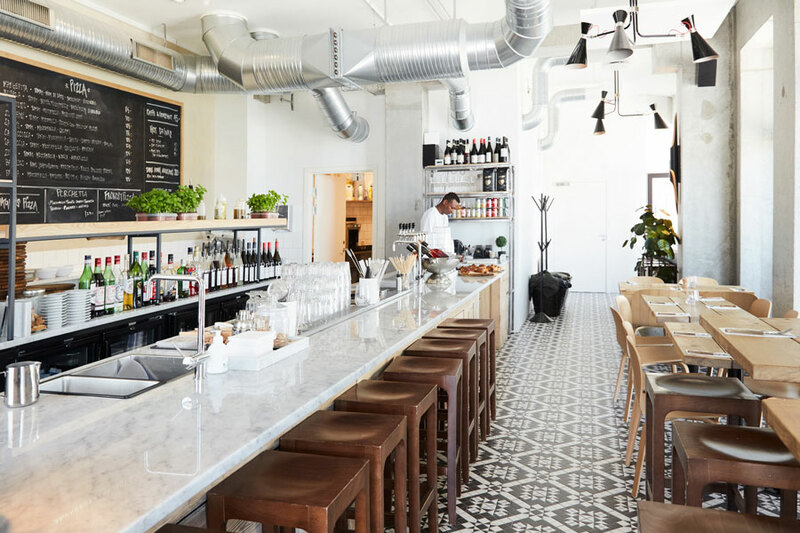 Being able to shop and eat sustainably is essential in a neighborhood where it should be easy to have a green conscience. Innovation: We want Århusgadekvarteret to be a dynamic urban district with an atmosphere that welcomes entrepreneurship and celebrates new initiatives. A culture that accepts failures as well as successes is therefore key. 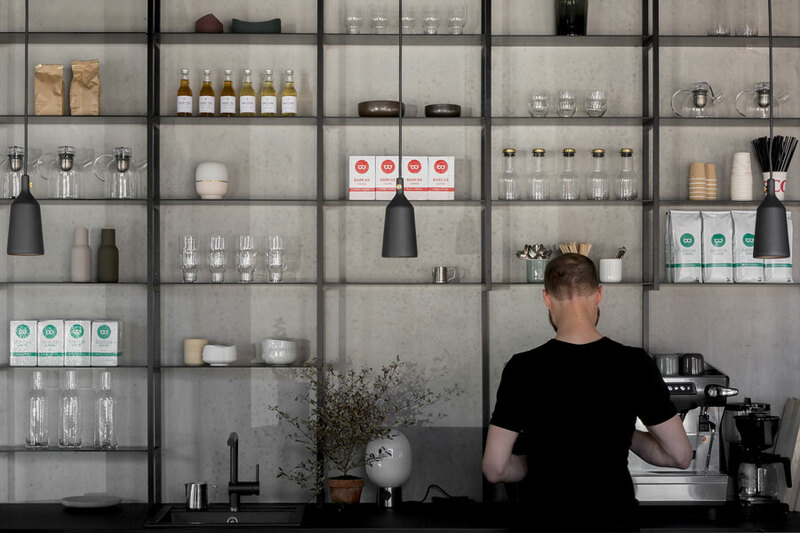 In continuation of the ambition to strengthen Copenhagen as a knowledge city, shops that are capable of rethinking and innovating the following elements will be highly valued. 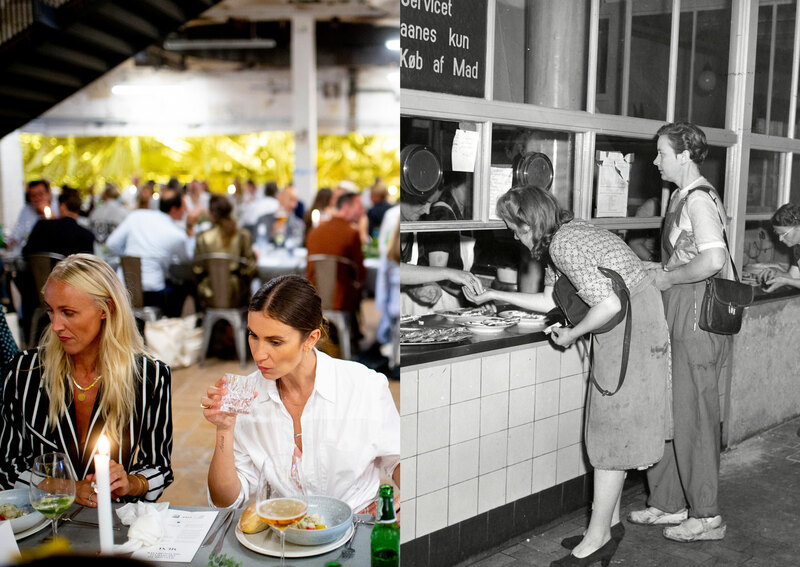 Knowledge development: In order to strengthen the breeding ground for innovation we wish to connect the commercial tenants to knowledge and research institutions that work with retail. 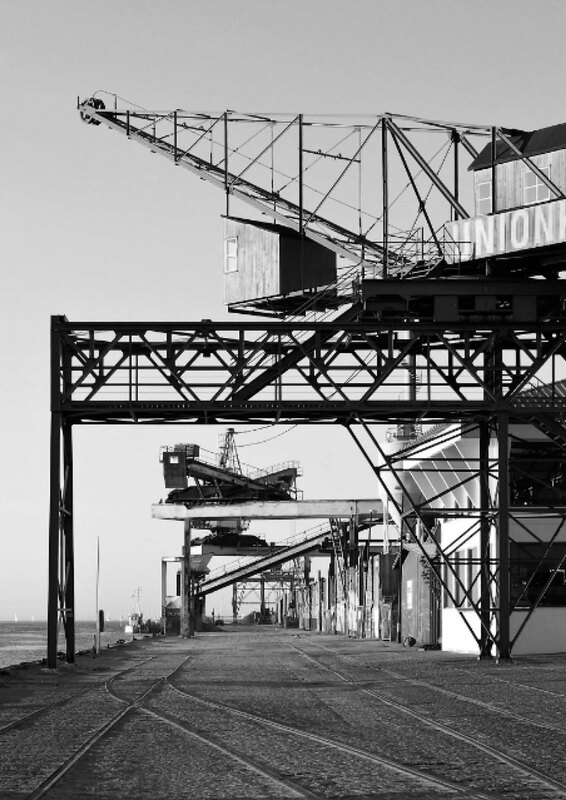 Inner Nordhavn might become a kind of retail lab where new ideas are tested and analyzed. 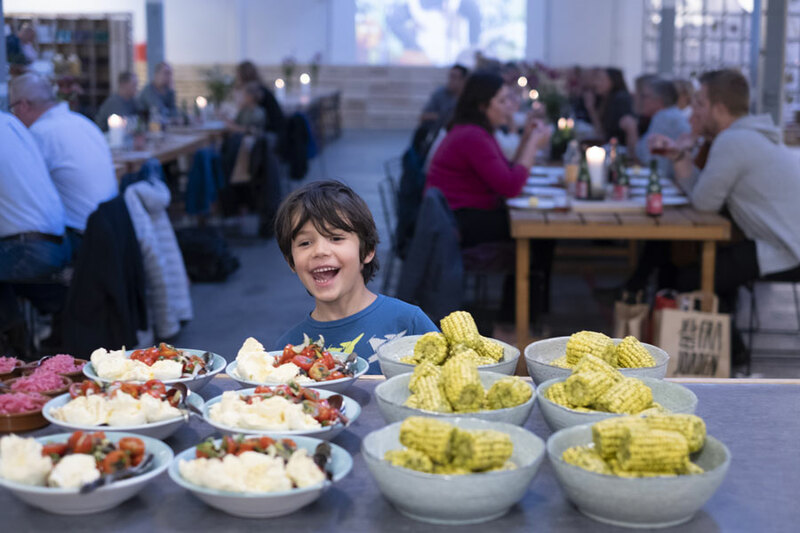 Community and passion: Retailers and restaurateurs in Århusgadekvarteret should contribute to make the quarter a place where people feel welcome and at home. The people that work in the shops and cafes must be aware of their essential role as identity creators of the whole area, creating good relations to the locals and thereby strengthening the attachment to the place. 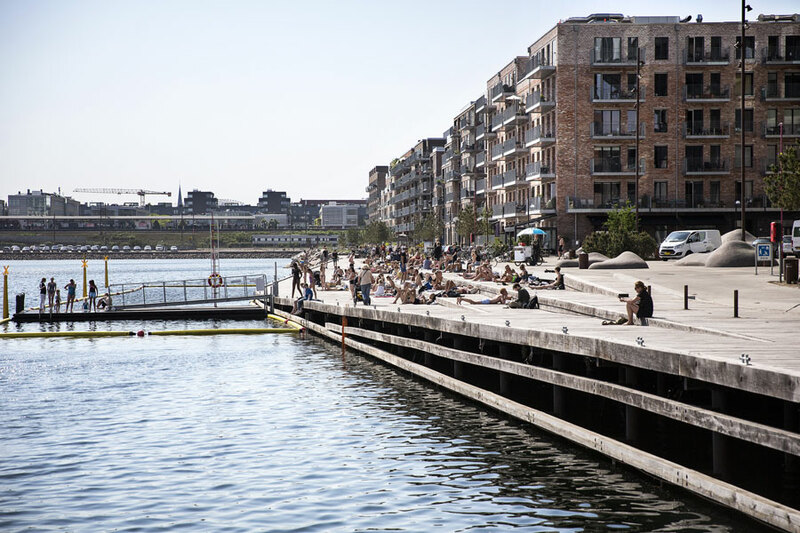 Unique concepts: Creating a vibrant place, capable of attracting Copenhageners and tourists alike, requires concepts that are not found on every street corner. The value of unique shops and inviting urban settings keeps increasing concurrently with the continued spreading of homogenous chain stores and online shopping. 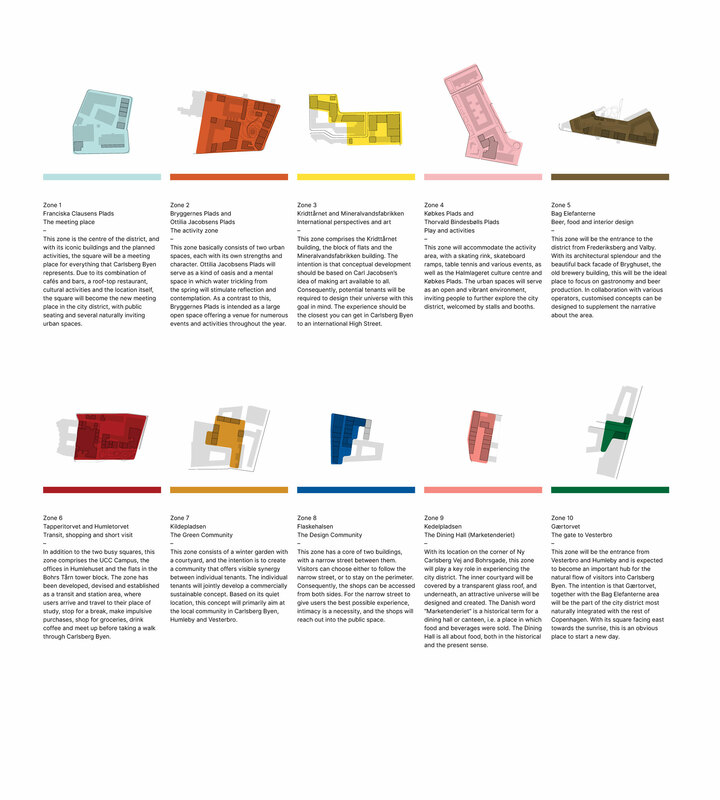 To support the retail manifest we developed a masterplan highlighting how the five qualities are translated and implemented into the area. The vision and scenarios for the upcoming shops, cafes and other commercial operators are illustrated through the presentation of six sections. Each section has its own concepts, logic, story and identity but all share the five qualities. 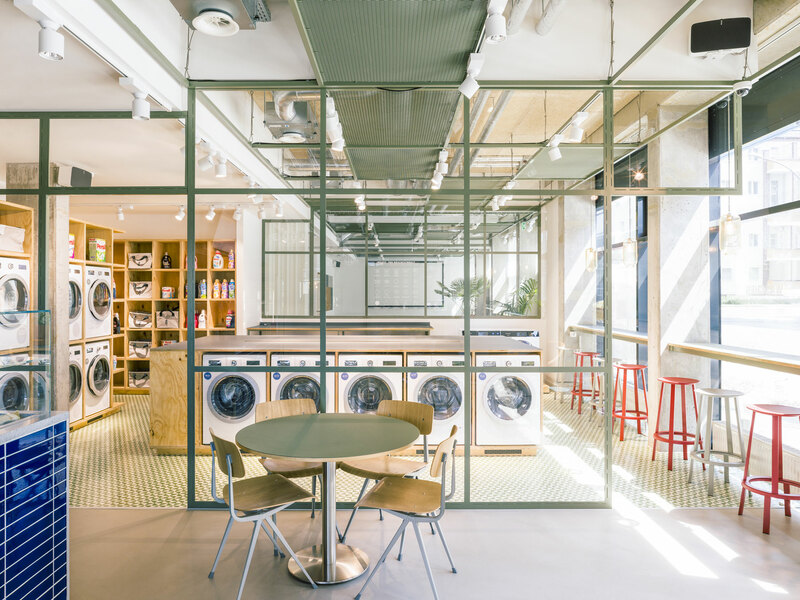 Using our retail manifest and masterplan as guiding star, we are now finding the operators and concepts that do not only provide the desirable supply but also the wanted vibrancy and sustainability. Many unique concepts are already in operation in Århusgadekvarteret – and many others are joining the area in the years to come. 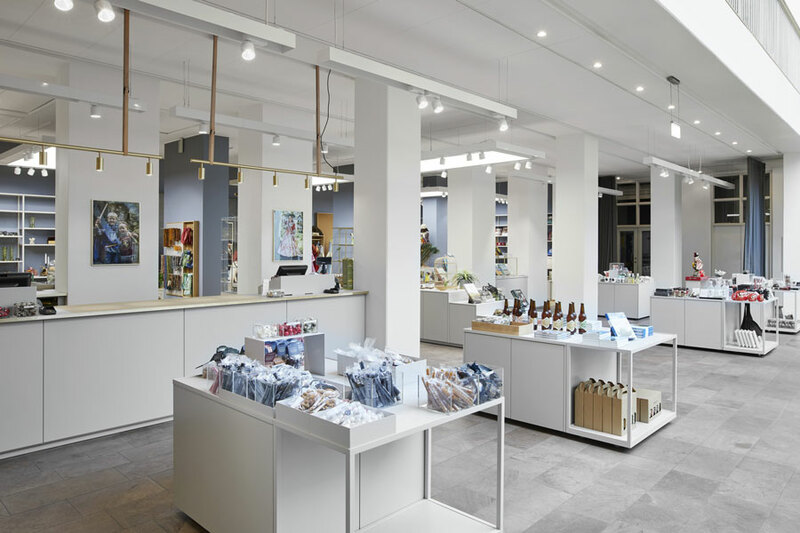 The new shop at the National Museum of Denmark has been shaped into the elegant entrance hall. After a time travel through the museum exhibitions, the visitors naturally flow into the light and airy, cultural shopping area. A large amount of diverse products need to be on exhibit to add an engaging and attractive layer to the museum tour and the restaurants. Highly visible during the day and discretely sleeping when a wedding party enters the hall at night time, the shop is a living organism. 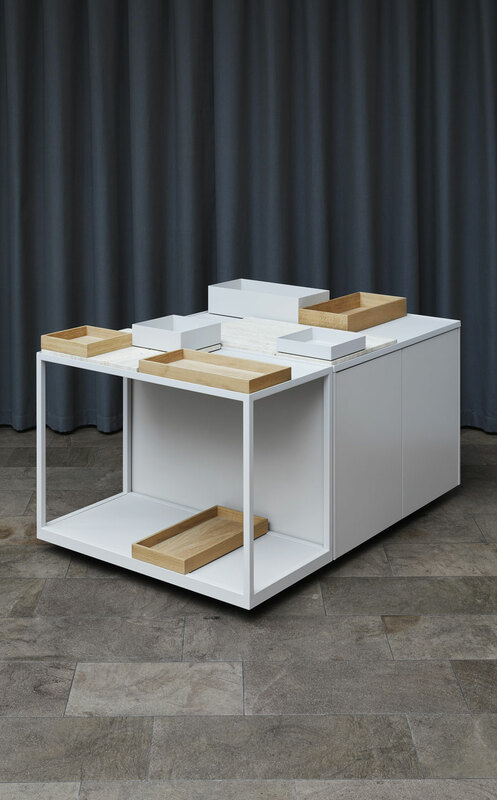 The natural gathering point is the centrally located counter, and intelligent furniture provides the personnel with easy access to built-in storage, while maintaining close customer contact. Changing back drop mood images, referring to current exhibitions, are allowed to dramatically influence the overall sense universe. Leather, limestone, oak and brass are DNA-material, selected from the historic exhibitions and translated into the modern design. 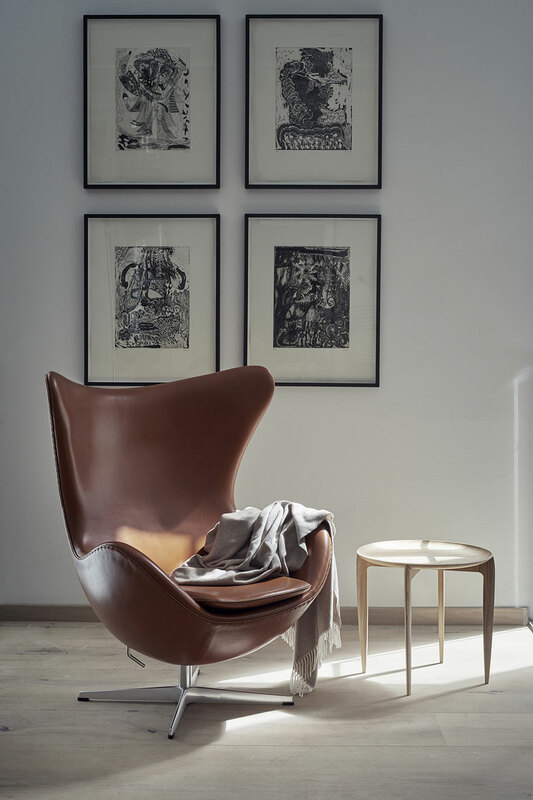 Furniture company and world-renowned luxury brand Republic of Fritz Hansen is the pinnacle of Danish design. 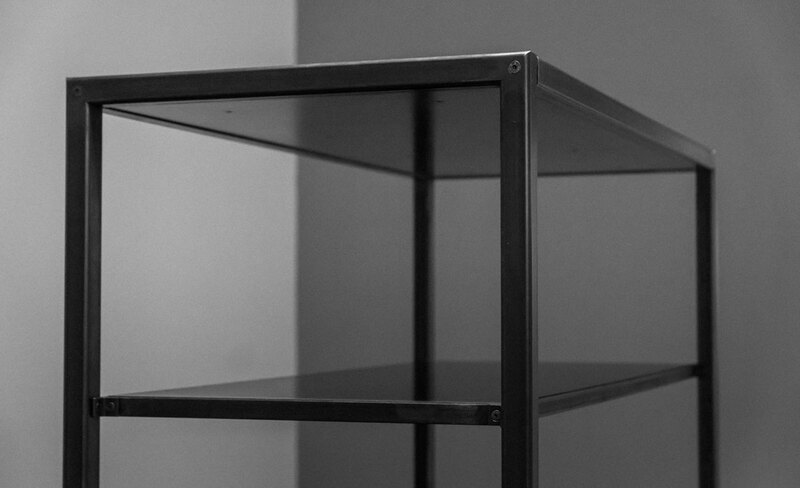 Simplicity, minimalism and functionality are the fundamental pillars of the company’s philosophy. 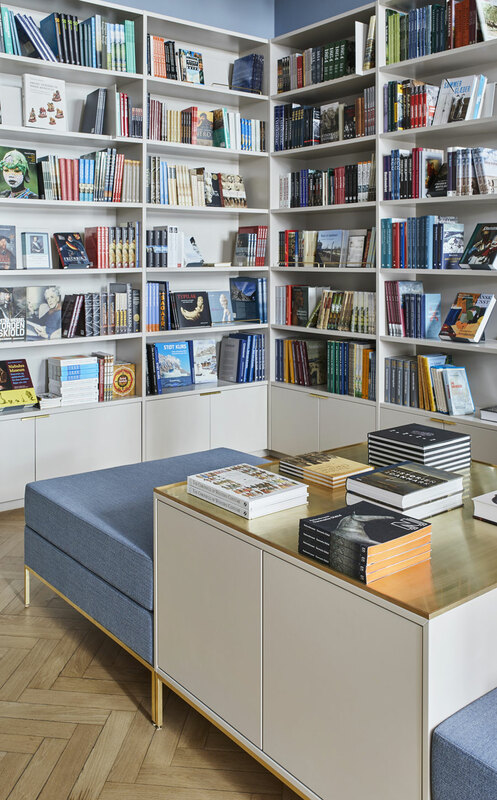 As a part of a global retail strategy, Fritz Hansen has launched new concept stores in selected cities, including Tokyo, Seoul, Copenhagen and San Francisco. 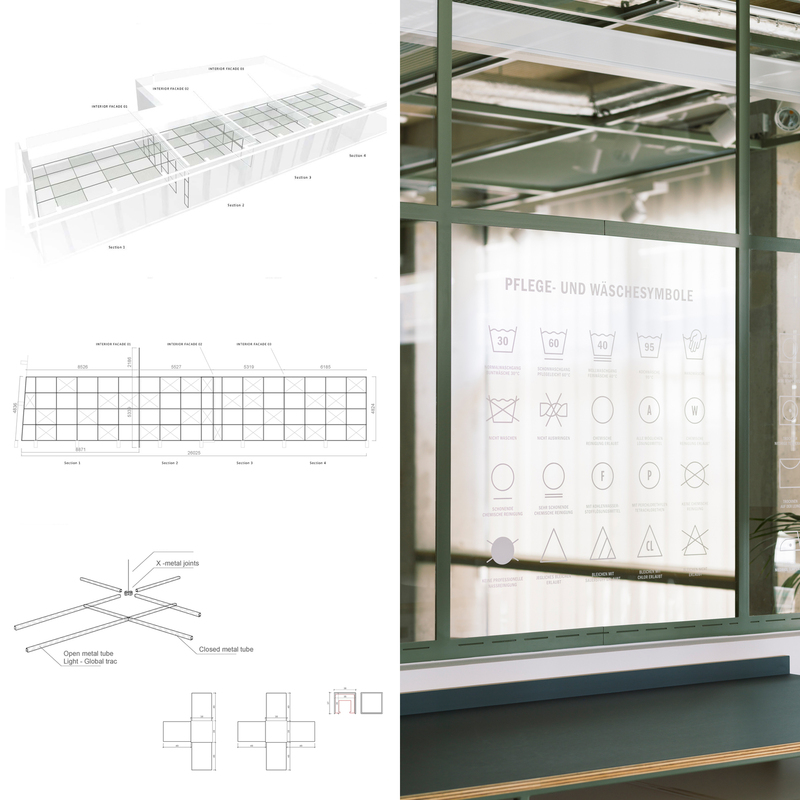 Briq created the interior architecture and visual identity for this new store concept. 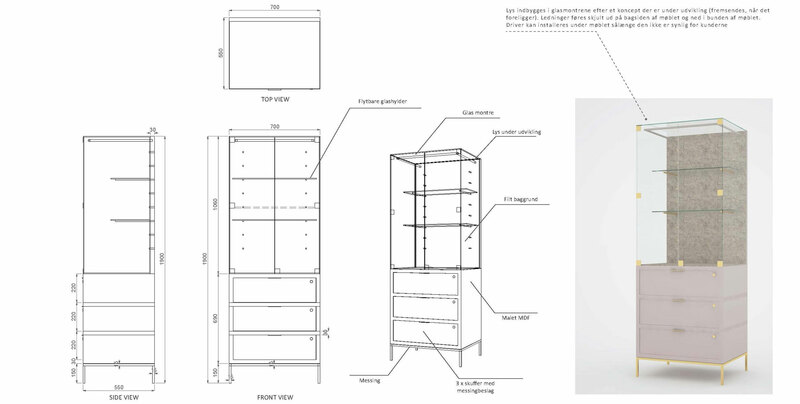 Inspired by the Fritz Hansen apartment created for Salone Del Mobile, we translated those same attributes into a commercial retail language. We used shades of blue, gray and earth tones in a matte finish to create clear divisions between the rooms in the apartment, while at the same time supporting the diversity of the products in regards to design, usability and color. We strongly believe that habits are changing for how students live and interact. A recent survey concluded that the closest place for young people to feel at home was ”online”.